Here is another reason to have a MAC. The Sesame 2 Wireless Proximity Lock is amazing. 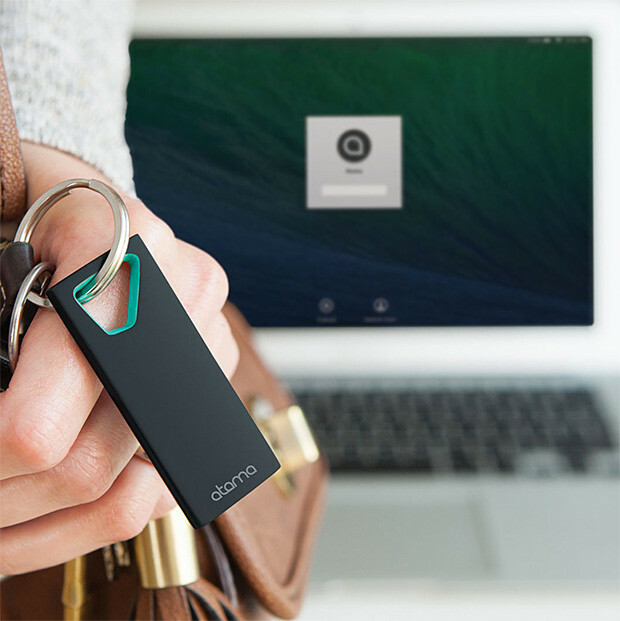 With this device, carried in purse or pocket, nobody else can access your laptop or Mac computer. The innovation is amazing and simple. The user sets up the software to communicate with the Sesame 2 device and that is it. The rest is automatic. Just guard the key fob security device like the contents of a wallet or purse. When the authorized user steps away from his or her laptop or Mac computer, then the system automatically locks the screen. There are two options, near or far, for setting the shutdown proximity distance. Exactly how far this is depends on the physical characteristics of the Blue Tooth signal transmission strength in the area. There are two options for when the user moves away and then returns to use the computer or laptop again. The first option is an automatic turn on of the system when it recognizes a person who physically has the correct security key fob. The second option is to enable the authentication mode. This allows an authorized person (who physically has the key fob), when they get close enough to the computer or laptop, to sign in again. What we love about this system is the enhanced security that is so user-friendly. The price is extremely modest. How many people, suddenly called away from their desk, leave their computer or laptop logged in to the company network? This is a major security vulnerability so easily exploited by hackers that use “social engineering.” Social engineering is hacker-speak for making human beings do dumb things that leave major security holes that are so easy to exploit in otherwise highly protected computer networks and company systems. This cool technology is great for Mac users and almost ready to be available for Windows users as well.